« Monday April 27th 1st Spring Share!!!! Let the season begin! Monday May 4th Spring Share #2-It’s a beauty! A wonderful and needed rain last night. A nice soaking 1/2 inch for the garden. Perfect timing for all the planting that went in the fields last week. We had loftly planting goals for our week and hit them….I spent a good portion of my days hunched over getting seeds in the ground. Starting the 2nd bed of carrots. I teased Scott and told him that I decided to go with ALL purple carrots here because I thought it would be “pretty” in the boxes later in the season. You should have seen his face. Just Kidding! But, there are 2 different varieties of purple planted as well as yellow and red beauties in this bed. We are going gang busters on the carrots this year. 750 feet went in this week with dedicated irrigation. Another long bed planned too for next week. Carrot madness is the plan. Our other HUGE! goal this week was to get those onions in. A long fussy duty which we finally finished on Saturday afternoon. We tripled our plantings from last year. Lots of sweet summer onions, storage and a few interesting grilling ones too. Scott likes firm numbers in our planning I tend to think in terms of “a lot” or “really long”. 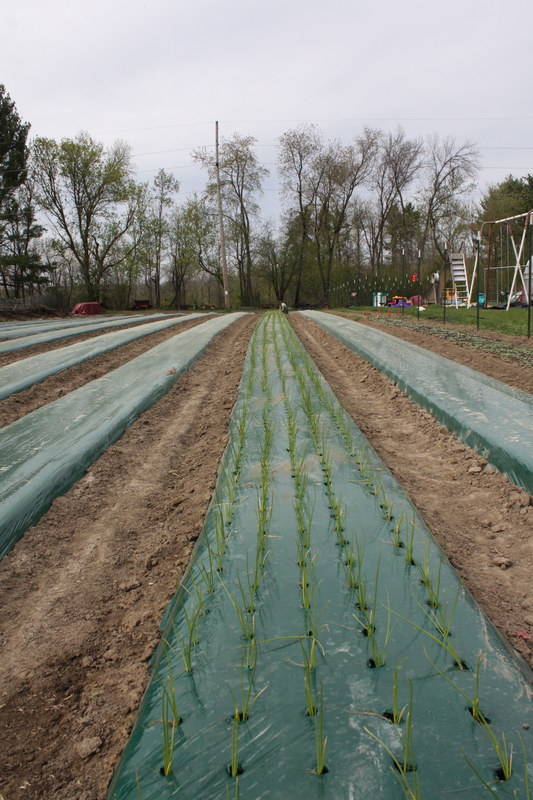 For those of you that think like Scott 1600 feet of onions went in by hand 1 hole at a time….those that think like me….the rows are MILES long. The job is done and we are pleased. Onion Bed #1 all sweet summer onions! That’s Scott way down there getting the job done! 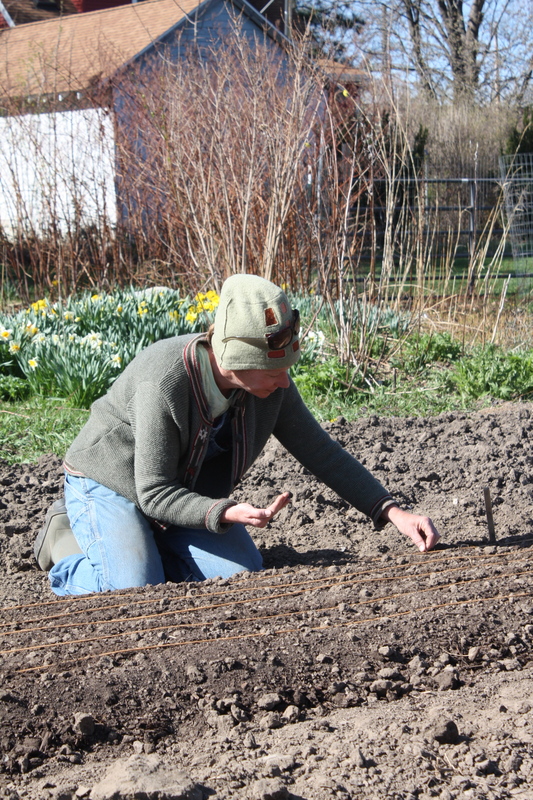 A close up of onion planting. 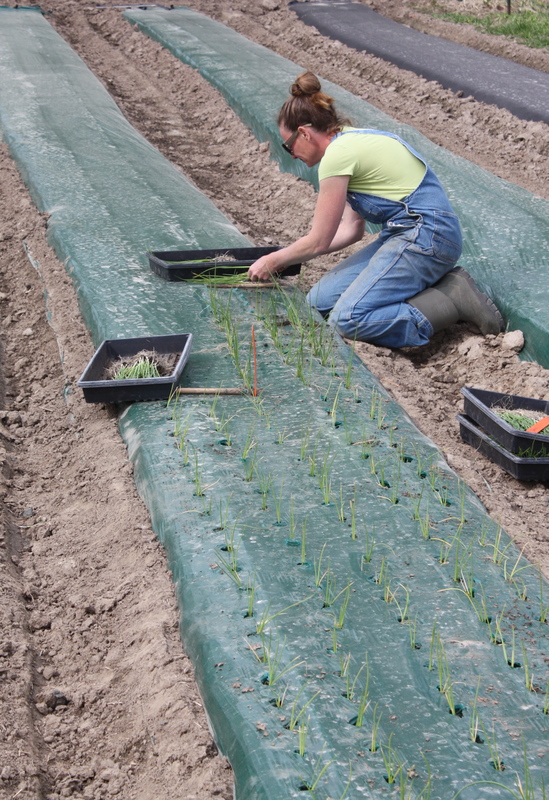 We start our onions by seed in flats in the garage in Feburary and then to the greenhouse and then outside for a few weeks before transplant. 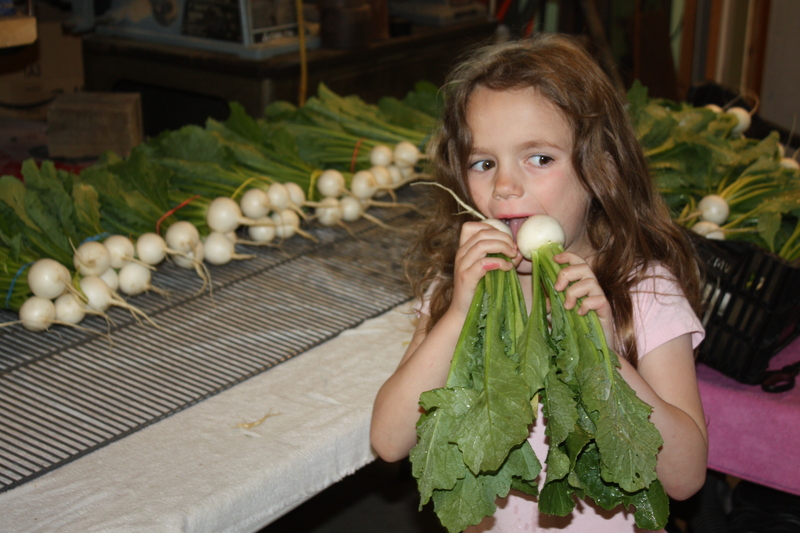 The focus this week is fill the garden with our transplants….broccoli, cabbage, cauliflower, kohlrabi, tons! and tons! 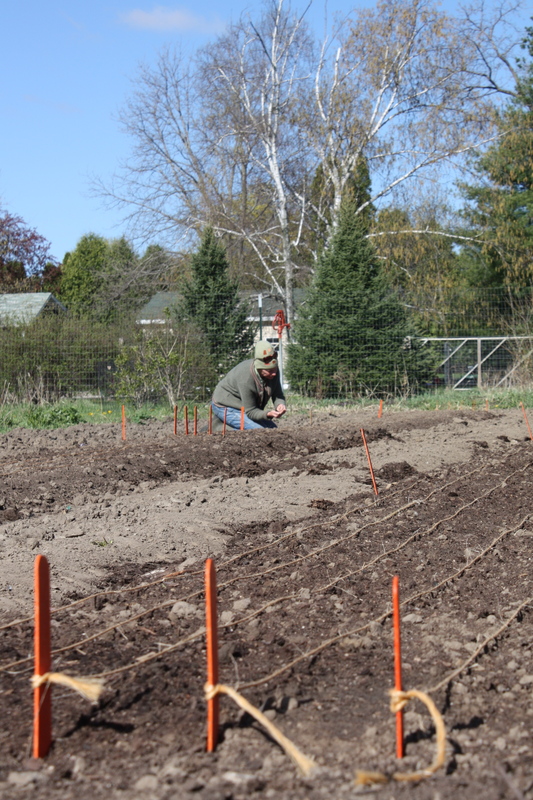 of kale, collard greens and more are all on the list to be be planted. In the greenhouse the cucumbers will be started along with zucchini, and all the melons. 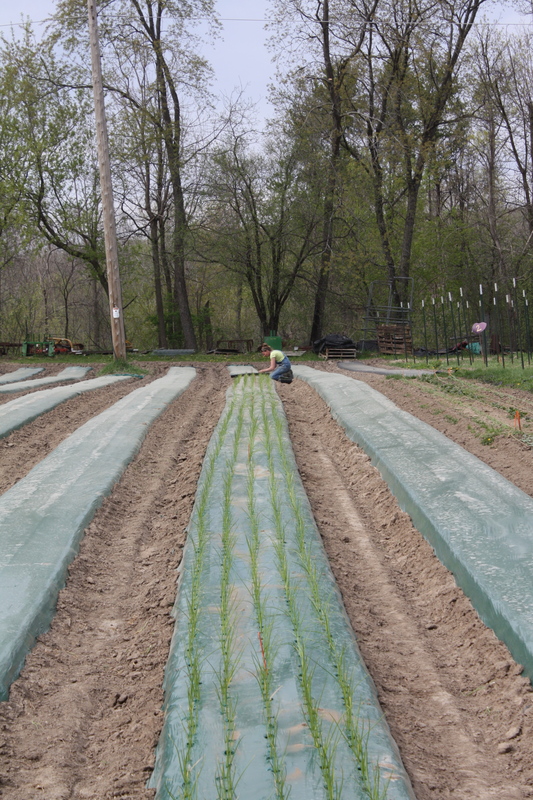 More lettuces and leafy greens are going into the ever changing hoop house…. It’s hustle time. 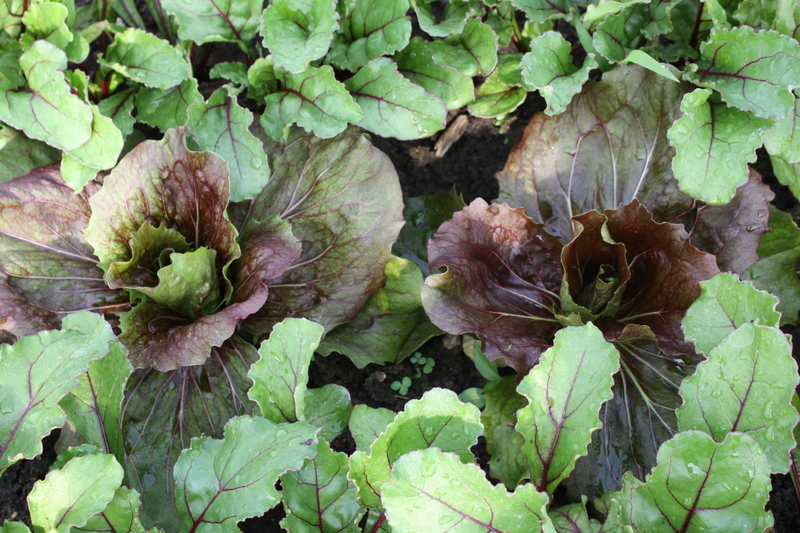 Beets and radicchio companion planted in the hoop house for future harvest….so pretty. It is a beauty this week. 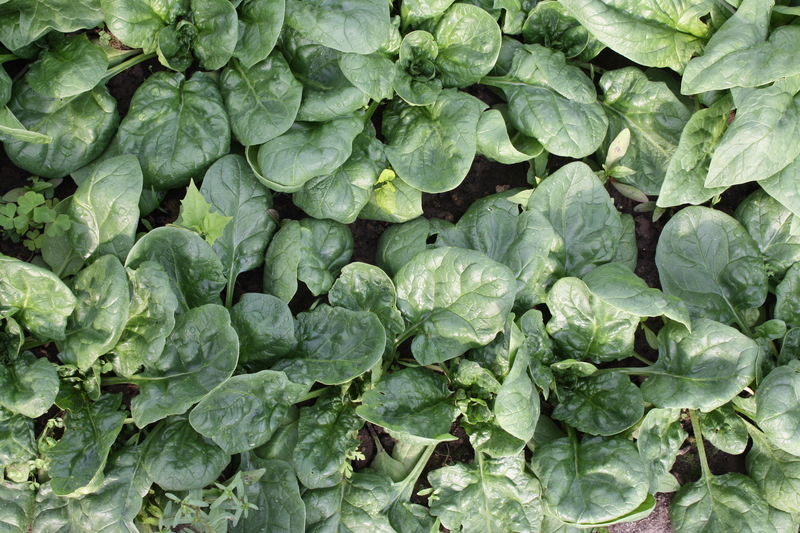 Spinach-The springtime candy from the garden. A nice big bag. 3 plantings are in the mix this week. And as expected we started our first harvest on the Spring planted crop planted in Feburary. Thick, dark green juicy leaves. Enjoy! 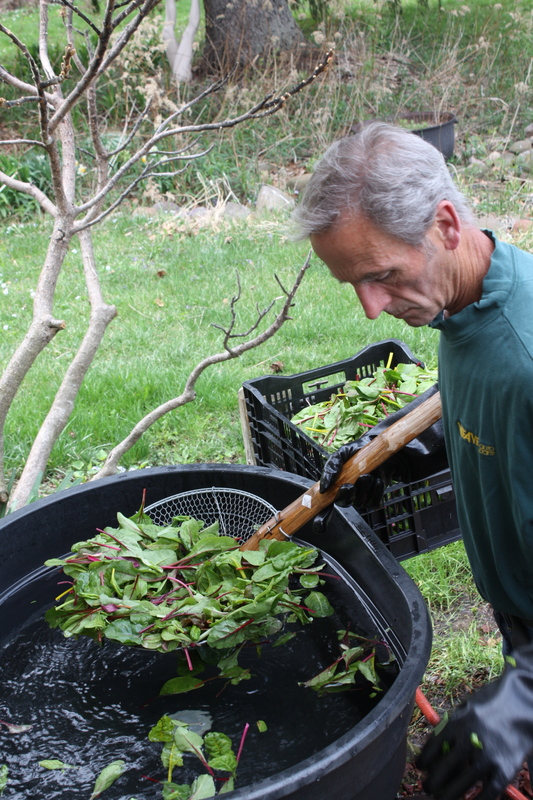 1st picking of the Spring planted Spinach. Another bed of Spring planted spinach with pretty Swiss Chard in the background. 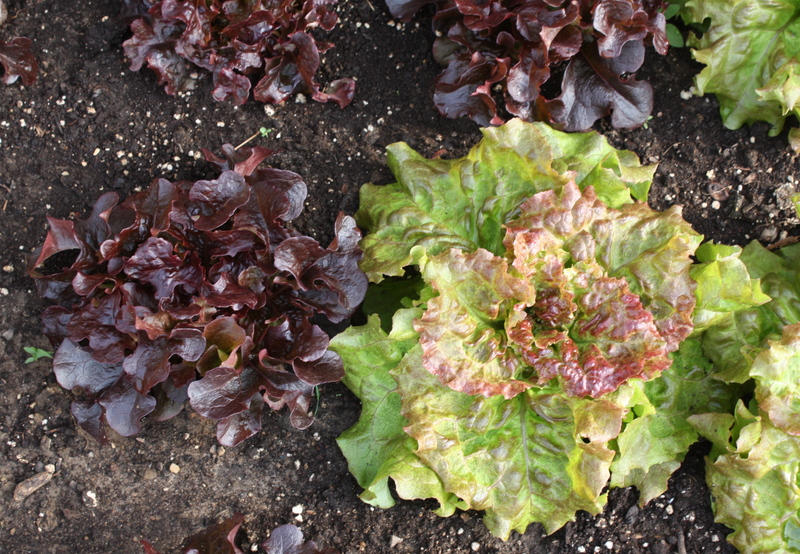 Head Lettuce-2 varieties to make a beautul salad this week. Your lettuce in the hoop right before harvest. Beta Mix-I think this is going to be our new favorite salad mix. It is stunning and sweet and delicious. Beautiful baby greens. 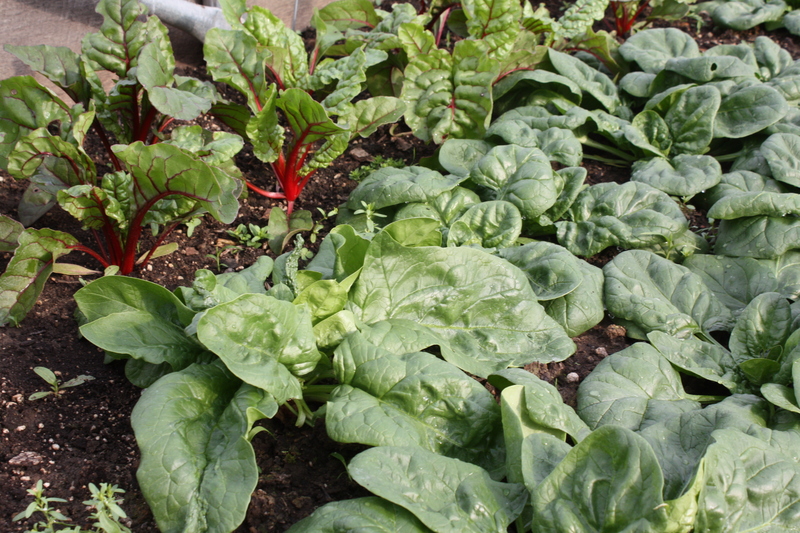 A combination of beet tops, kales and swiss chard. Enjoy sauted or fresh eating in salad. Beta Mix. In the wash tank. Beautiful! Scott washing the Beta Mix. Radishes-Pretty little round ones this week. Crunchy Royale is the variety. Pleasantly mild flavor. 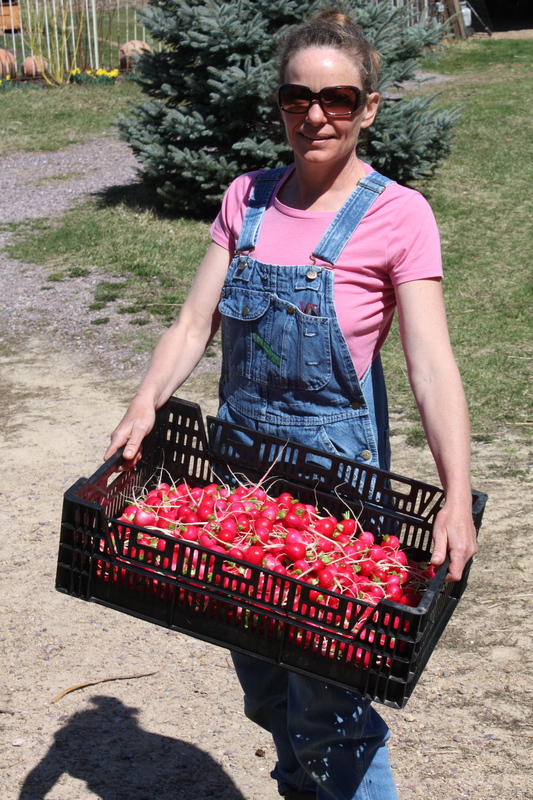 Radish harvest for this week. 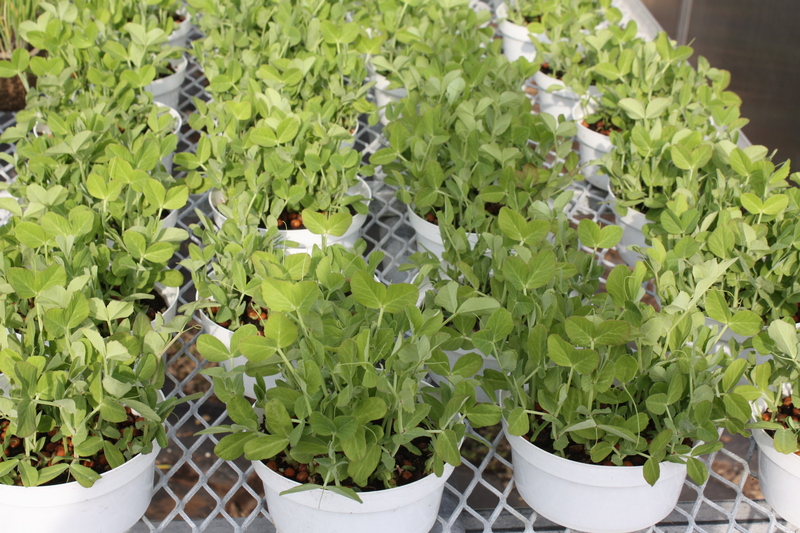 Pea Shots-Trim as a garnish for salads, soups or sandwiches. Tastes just like fresh peas. Keep in a bright window in the kitchen on a plate. Water as needed and trim with a scissors to eat. Arugula- A nice spicy bunch. 2 early cold tolerant varieties are in this mix. 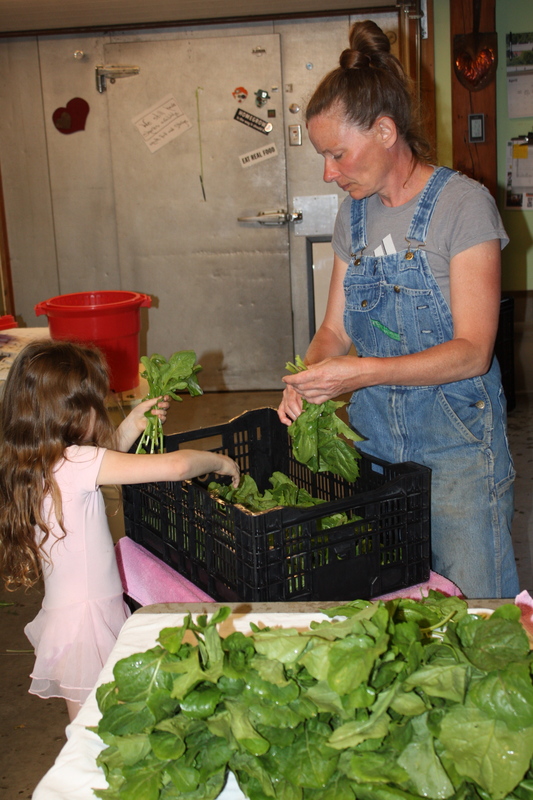 Maeve helped bundle the arugula this week. Mizuna-Another delicious Asian Green. In the mustard family with a slight peppery flavor. 3 different varieties in this mix. A Purple, a lime frilly green and a solid dark green. 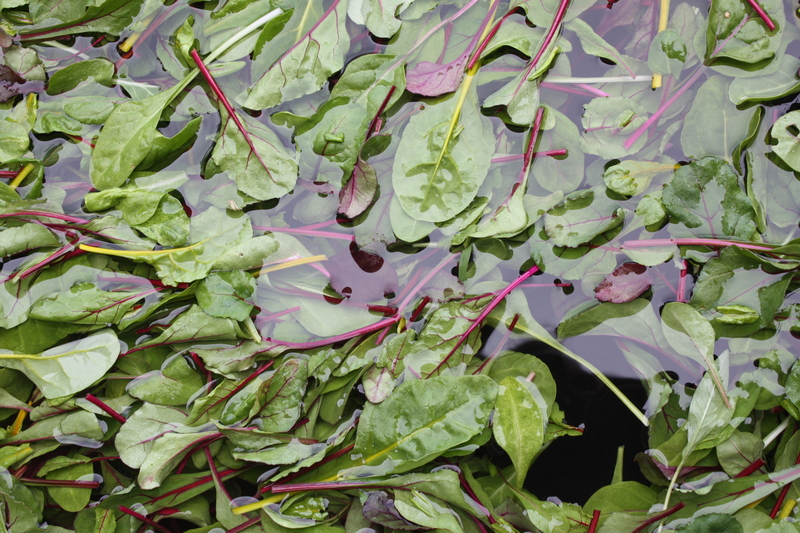 Great addition to a fresh salad or sauted in a stir fry. Spring Turnips! !-I thought there would be a “few” for us this week as an early sample of what’s to come…. and when I went to harvest last night-Holy Cow! They are ready. Enjoy one of our favorite Spring Treats. Maeve cannot get enough of these things….She eats them like apples. Smooth buttery texture with a sweet flavor to these gems. 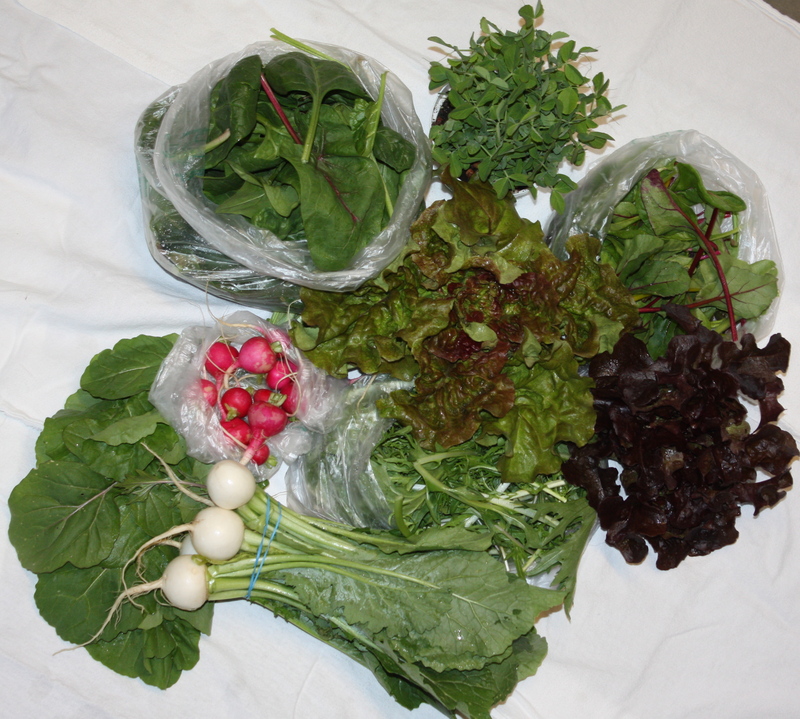 more turnips!, salad mix, baby asian greens mix, head lettuce, spinach, asian greens, chives and a few other surprise treats. We can’t wait!